KidStarter Campaign Video from The Fold on Vimeo. Remember building things as a kid in class? Do you want the same for your children? Check out KidStarter – a STEM (Science, Technology, Engineering and Math) based DIY (do it yourself) course for kids! There are many ways to support KidStarter – click here to support KidStarter! KidStarter is a class where kids can learn and create things, currently only located in Dallas, Kidstarter is in IndieGoGo raising funds to spread their classes around the U.S. While you can donate as little as $1, certain amount of donation does yield some cool things. For $35, you can have a DIY watch. Perfect for the little guy or girl who likes to put stuff together! 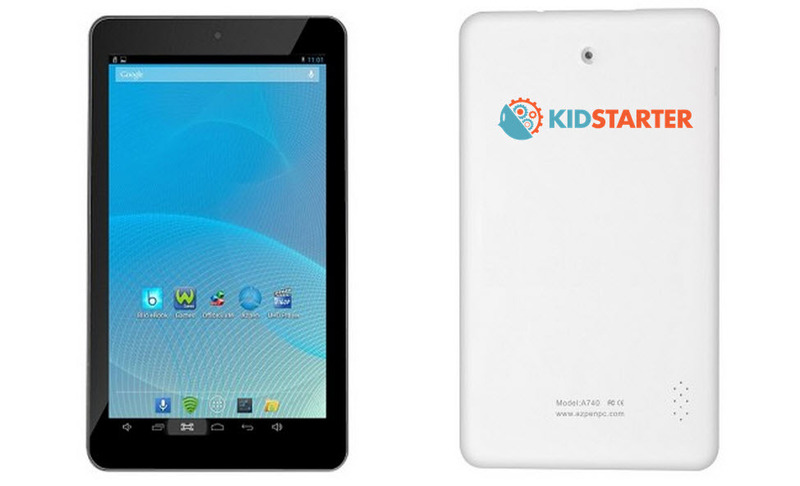 For $180, you can get this quad-core processor KidStarter tablet, which you can use to control a robotic insect you’ve built from the class and more! Click here to find out more and support KidStarter! Want to win a Samsung Galaxy S6?